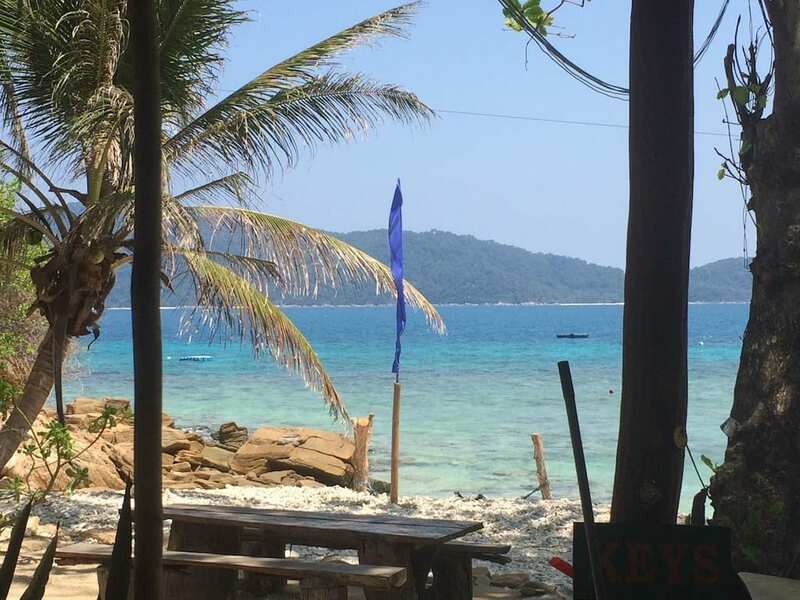 Every now and again, I am asked by friends new and old for Perhentian Islands beach recommendations, based on my time there volunteering across 2015-2016. Aside from mentioning those resorts which have good sustainability habits (hey it’s a Marine Park, so it is becoming to prioritise those businesses that operate like they acknowledge this), invariably I would have to ask them what they’re into. This is because, despite its small size, the pair of islands forming the Perhentians literally caters for almost every major (non-icky) tourism segment there is. You really can pick the perfect beach that suits – you! 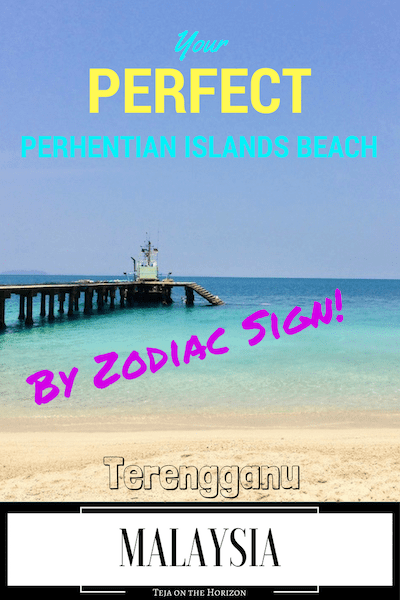 For no defensible reason whatsoever, I’ll now categorise each Perhentian Islands beach – by zodiac sign! (Betcha didn’t realise there are enough options to fill out the zodiac huh?) Enjoy! *I have omitted non-beach zones partly because they don’t fit the theme and partly because some of them may have… er… questionable legal permitting status. Where: South side of Perhentian Kecil island. My personal favourite (no I’m not a Libra), Petani beach is a relatively secluded medium-size sandy beach, framed by rocks on either side. Peaceful, laidback, and classy, the few beach accommodation options nevertheless manage to cover the range from ‘beach bumming’ to ‘lux’. Check out Mari-Mari’s quirky flotsam-based architecture, or the modern luxury of Alunan – you won’t be served by cheap plastic straws there, only stainless steel for the discerning quality sustainable guest. Despite it’s exclusive vibe, it is pretty easy to do a coastal hike from here around the island to the Fisherman’s Village (Kampung Pasir Hantu). You can also hike to Mira and Rainforest beaches around the other side. Teluk Kerma is popularly known as ‘D’Lagoon beach’ after the sole resort on this small beach. 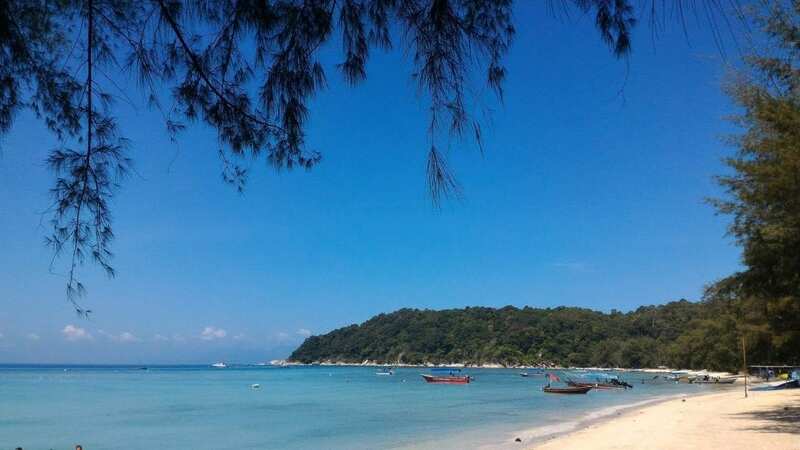 It is a relatively isolated Perhentian Islands beach, giving it a secretive getaway vibe. (By this I mean the speedboat taxi price to get to other beaches is pretty steep). The shoreline looking out to a fairly vacant blue sea is comprised of broken corals rather than sand. The jungle hike from the Fisherman’s Village to the Wind Turbine peak (header photo) continues onward to end here. (It may be best to do this hike with others. While largely safe, occasionally robbery en route has been reported). There is also a short hike you can do from the resort through the jungle to get to a secluded sandy cove on its opposite (west facing) side. This little sandy cove is called ‘Rainforest beach’ after the …uh… resort? bar? camping ground? … that solely occupies it. Effectively, staying here involves being mostly outdoors, with snorkelling and beach volleyball being the main activities. The establishment is no frills and laidback, with a distinct beachy vibe – generating little waste that they diligently segregate. The relative distance to the parties of Long Beach may be a strain on the more outgoing Sags, but at least the crowds of Coral Beach is just a short hike away – and what’s a hike to Sagittarius? For more worldly conversation on the simple life and sustainable tourism, hike the other way instead to Mira beach for a meal and a chat. Teluk Dalam beach is a long sandy beach on the bigger of the Perhentian Islands. It is popularly known as ‘Flora Bay’, after a pioneer resort on the beach. Over time, tourism on this beach has grown, and caters more towards families and groups. The vibe is social and respectable, and feels a bit more planned – albeit still with many beach activity options. Green Fins certified dive centres are available across the beach. Connectivity to other beaches would mainly be by speedboat taxi, since the nearest hikeable beach is Teluk Keke camping grounds. The resorts along Tanjung Genting beyond the Marine Park office lie beyond that. 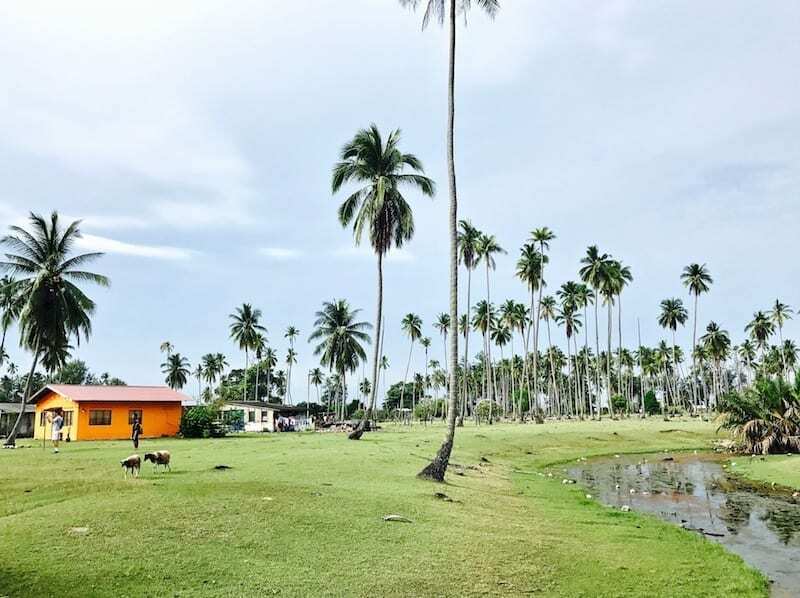 If you have an image in your mind of the sustainable beach eco-resort, in all likelihood it would look something like Mira. And in this case, it would be an authentic image. Solely occupying this small sandy beach, its chalets made of natural materials are a skip and a hop from the water’s edge. The resort aims to be sustainable, having its own organic vegetable garden, kitchen composting, and other projects on the side. 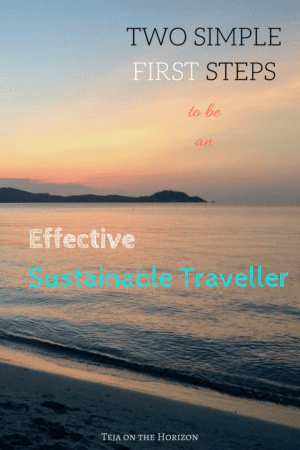 Have a conversation with the owner – a Terengganu local – on sustainable tourism, and the simple life. Speedboat taxi connectivity from this beach needs to be pre-informed due to typically low traffic (nevertheless this is easy to do). The lively Coral beach is a hike away to the north, passing by Rainforest beach, while Petani beach is an even shorter hike to the south for more F&B options. You cannot just book a stay on this beach. In order to spend the night here, you need to volunteer for a sea turtle data collection and conservation project through Ecoteer, who run in it partnership with the Fisheries Department (follow hyperlink for further information). 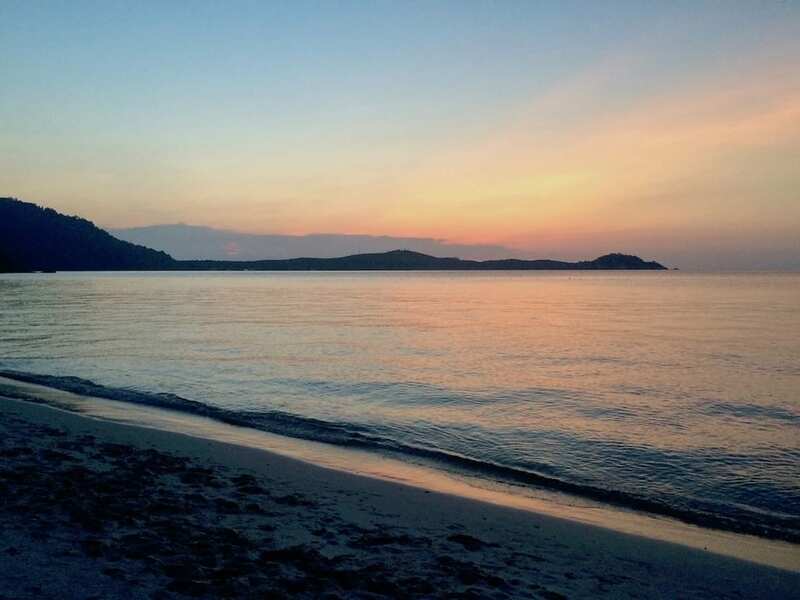 The nights spent on this beach are on turtle watch nights, where you walk a patrol in rotation throughout the night to watch for turtle egg-laying landings. These are logged, and information about the turtles collected. Days are spent in snorkelling surveys, also logging data about turtle presence in the area. The amenities are basic. There are only a few chalet buildings belonging to the Fisheries Department, where their duty staff are posted. However, on clear nights, you’d probably simply sleep on the beach under the spread of starry sky. There is no amusement other than what you bring with you. Only the dedicated would apply – and so keep this sanctuary beach, a sanctuary. The intrepid Perhentian visitor does not simply book himself (or herself) into a hotel! They bring their own roof with them, obviously. And the place where they will go, is the camping ground on the sandy shores of Teluk Keke. Occasionally dive clubs from the mainland would organise trips here, where they can be seen going for shore dives. Located next to the Marine Park office (not always staffed), the camping grounds are shaded by a line of casuarina trees. 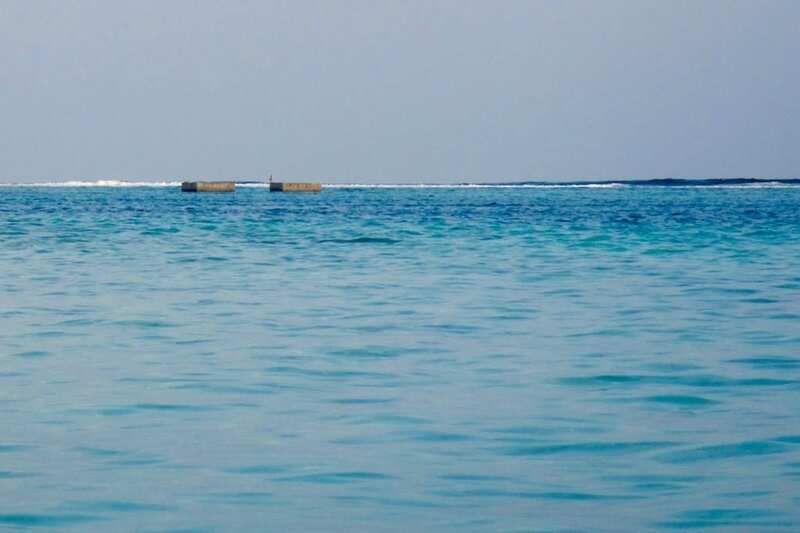 Near the Marine Park jetty are snorkelling zones, and a giant clam ‘garden’, which is an initiative to re-seed the surrounding area with giant clams. There are some chalet options on Teluk Keke and beyond the Marine Park office along Tanjung Genting, for those Aries that have decided to compromise. Tanjung Genting options range from options on the beach to those high up on rock ledges, affording a commanding view of the channel between the two Perhentian islands. As you venture along Tanjung Genting, its northern portion towards Teluk Pauh reflect a more conventional tourism, family-friendly feel. It is denser than Teluk Dalam but with a much better connectivity to other beaches. Long Beach, for example, is just across the channel. The accommodation types range from chalets to resorts. Tuna Bay resort on the Tanjung Genting side is a full service resort that nevertheless runs its operations with multiple sustainability practices including waste segregation and composting for landscaping use. It is one of the only two resorts in the Perhentian Islands that actually has a recycling effort rather than just carry out waste segregation. Green Fins certified dive centres are located along this stretch. 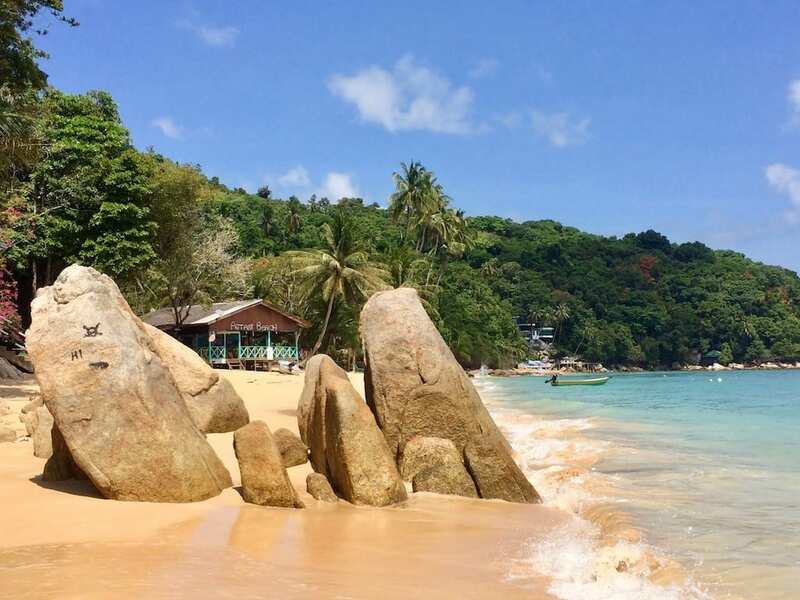 A highly popular Perhentian Islands beach, Coral beach is dense, with a mad eclectic range all the way between conventional resorts, to chalets of questionable architectural integrity perched on the sides of cliffs over crashing waves. 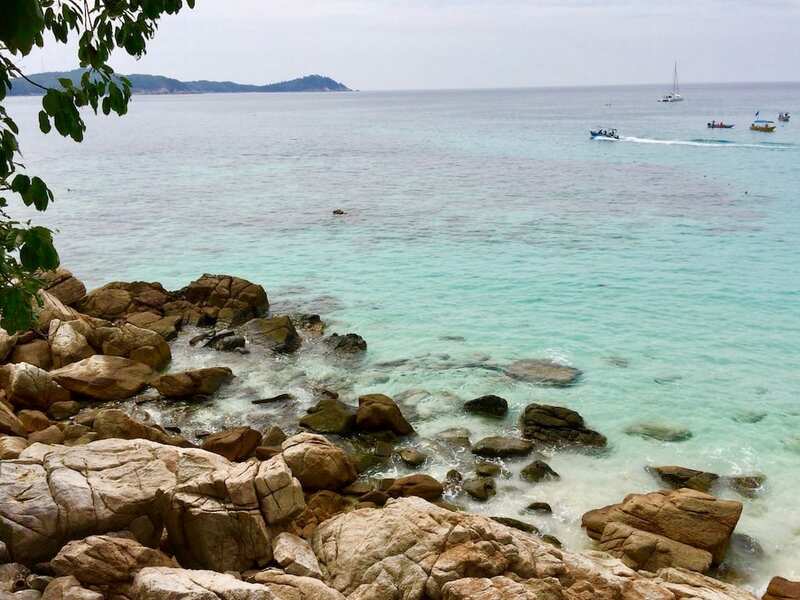 Although it is on the far side of the activity hubs of Perhentian Islands, it is heaving because it connects to the traditional backpacker’s stop of Long Beach via a fairly short hike (walk?) across the narrow neck of the island, thus omitting a speedboat taxi trip. It therefore serves as an option for those who like to be near the action, but not live (or sleep) next to the action. Local-run Sea Voice Divers is one of the Green Fins certified dive centres on this beach, and who are a highly passionate (and fun!) sustainability advocate within the islands. 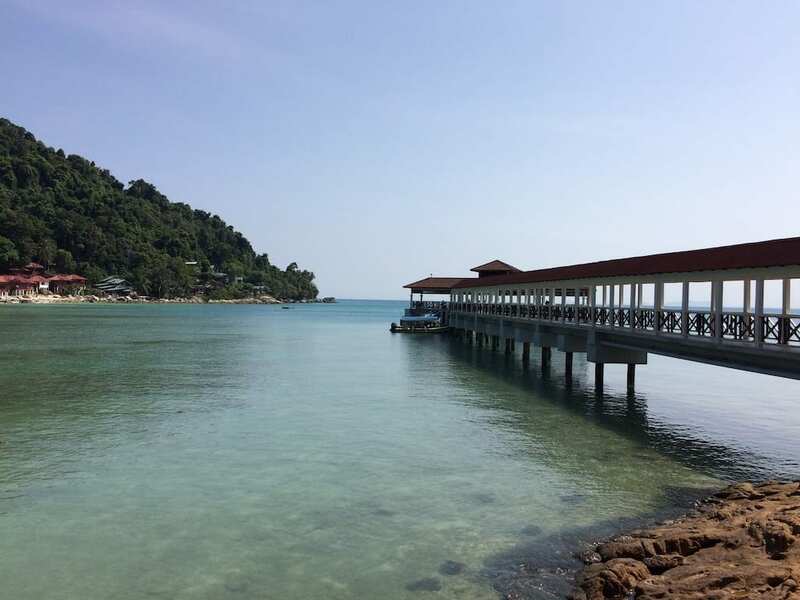 There are two options for staying in the fisherman’s village of the Perhentian Islands. One is to book yourself into one of the small village guesthouses (probably easier if you are Malay-speaking, but not impossible otherwise). The other way is to join an Ecoteer volunteer or holiday program, some of which are based in the village. 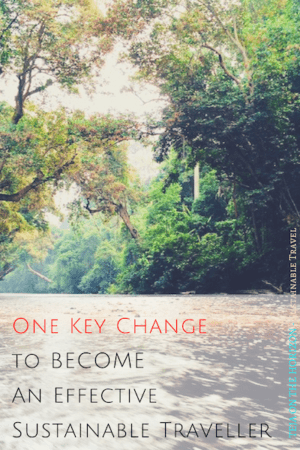 Either way you would get a more direct experience of life in the local Malay village. Because of the nature of the experience, it is better to do this stay as slow travel, as there is little that is apparent from a too-short stay. Ecoteer programmes usually come with ‘Malay dinners’ every so often, where you get to dress up in local sarong and come to dinner at one of the local homes. The islanders of the Perhentians are laidback and understanding of foreign visitors’ habits. But when hosted in their own village do be respectful of the local Malay and Muslim culture. This is especially important if you stay under a volunteer program. A lack of respect for the community not only shuts you off from being admitted to experience village life, it also severely undermines the trust that the volunteer organisation needs to continue working in the community and especially with children. To be honest: the expectations are not that onerous. As a general rule, decent clothing is considered to be at least shoulder to knees. Sobriety and modest gender behaviour (either way) is the cultural norm. And that’s it. Pasir Panjang (literally, “Long Beach”) is the famous original backpackers’ beach of the Perhentian Islands. 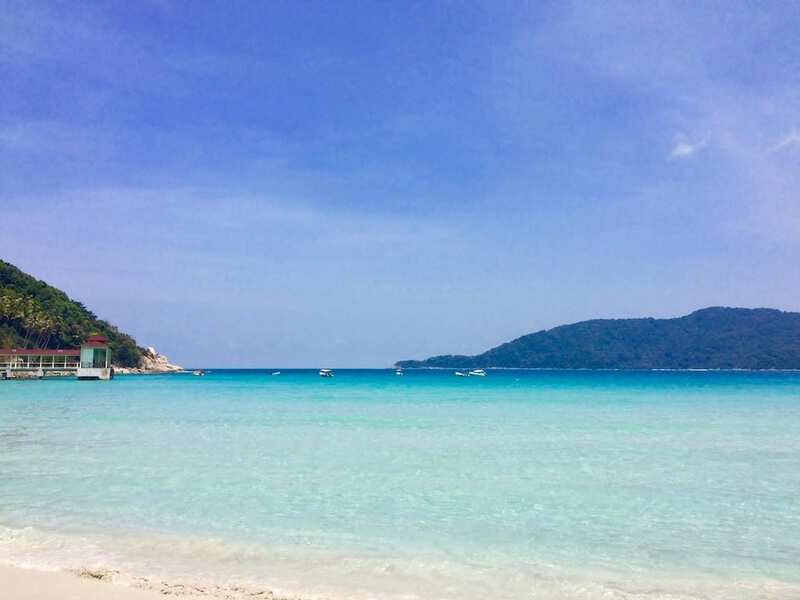 Easily the most impressive beach of the Perhentian Islands, its long stretch of fine white sands are washed by regular waves from a brilliant blue sea. Being the sunrise beach of the Perhentians, the full glare of the sun renders the beach blistering hot in the morning. This is when you should go diving with one of the Green Fins certified dive centres here. Alternatively, the beach also has many beach amusements on offer – although not all of them are technically legal in the Marine Park. As a general rule, if it’s motorised, it’s probably not. At night, the beach bars open for business, and the beach earns its reputation as the ‘party beach’. Accommodation options range from budget chalet to lux resort. This bay is popularly referred to as ‘Bubbles’ after the sole resort that occupies it. Similarly to D’Lagoon, the bay is relatively expensive to visit from other beaches, assuring its exclusive atmosphere. It is quiet and family friendly, and has a close to nature vibe. The small sandy beach is lovely, and with known turtle landings. So much so that the resort now has a true blue turtle hatchery program, the only one in the islands other than the hatchery on Tiga Ruang beach. Apart from this, the resort is one of the two resorts in the Marine Park that has a recycling initiative – although Tuna Bay’s is more comprehensive. Snorkelling and diving activities are basically available throughout the islands, irrespective of where you stay. However the bigger beaches would obviously have more options. DO NOT – snorkel without a high visibility life jacket in the Marine Park, or outside designated zones. 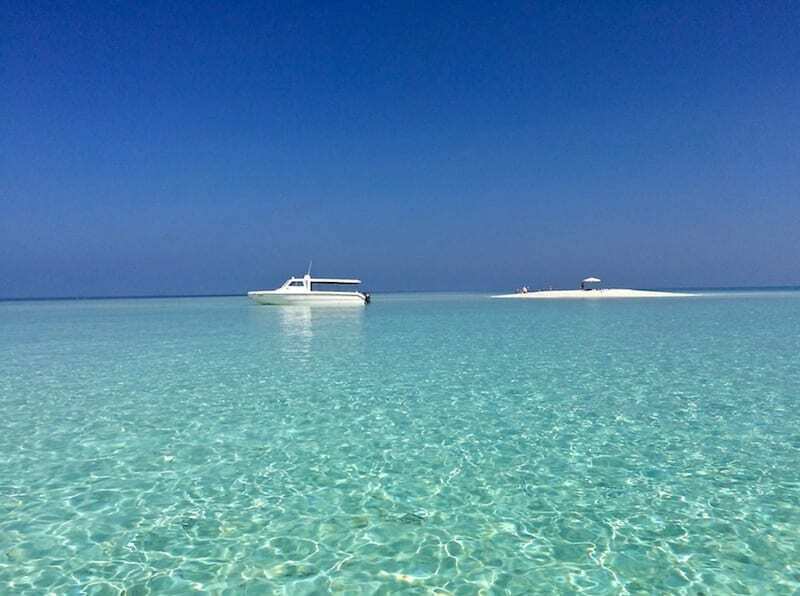 Apart from being Marine Park regulations to protect the coral reef, the main transportation around these islands is by speedboat. These go really fast and may not always be able to see stray snorkellers in time. In fact one of the conservation issues here is turtle deaths through being struck by speedboat. Now imagine that instead of the turtle’s carapace, it’s your skull. Enough said. You may notice I repeat the phrase ‘many Green Fins certified dive centres’ quite a bit. Yes, this means that there are a LOT of dive centres around the Perhentian Islands. And yes, it does mean this is among the best value locations in all Southeast Asia to obtain your PADI certification. So get it! Why does it matter if they are Green Fins certified? Head over to this website to find out more about what the certification means, as well as a current list of those dive operators with a live certification. Dive with certified operators and find out what you should expect from the dive experience when you do. 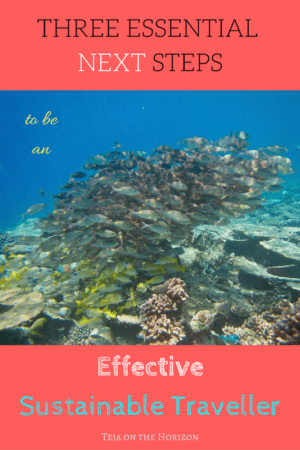 Do ask for an Eco-Friendly Snorkel Guide (EFSG) for snorkelling. Even if you are unable to obtain one at your accommodation, you would be signalling a demand for responsible snorkelling practices. See this locally run site for more island information and the list of certified EFSGs. Find out more in this article (scroll down to ‘Malaysia’), including information on how to give feedback. So what are you waiting for? 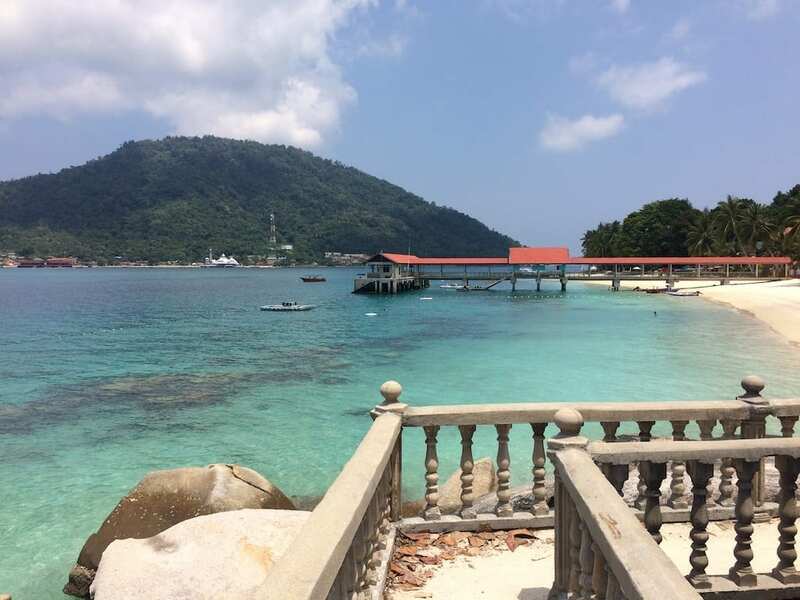 Head over to Perhentian Islands and let me know if I’ve got the beaches wrong! This was a super fun blog post about your perfect beach via your zodiac sign. I’m a Gemini, but surprisingly I’d rather go to the Libra beach with its lush rainforest and stunning waves! Yeah I’m partial to that one myself – even though I’m not a Libra either! Haha, what a cool way of working out where to go!! I loved ‘my’ beach – the beach features matched me and my sign perfectly. Then I started looking at some of the others, and I found two more that I really liked. What attracted me to those? My zodiac ascendant was one, and my moon the other! Fantastic!! Nice! I also like both my ascendant and moon beaches! A beach for each zodiac sign! Thats really interesting. Although all these beaches are so beautiful, I am sure I won’t be able to confine myself to the beach of my zodiac sign . I would like to visit them all. Lol. I love all the beaches that I careless about Zodiac signs. I’m Aquarius but these beaches just have to be explored irrespective of the zodiac sign. Winks. Teja on the Horizon is a Mystery Blogger! Musical Clocks in Utrecht That Will Blow Your Mind!